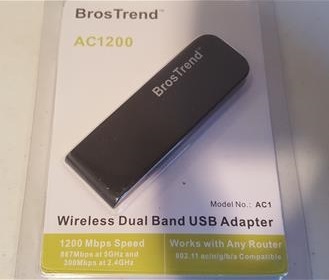 The BrosTrend AC1 is a 802.11AC Dual Band WiFi adapter built for compatibility, and speed. Since it is Dual Band it will work in most any network including older Wireless-N and the new 802.11AC wireless routers. It is roughly 3 inches long and comes with a cap for storage or to be carried about giving it good portability. This makes it good to use with a laptop or desktop. The package comes with the adapter, driver CD, and instructions. Plugging it into a Windows 10 laptop the drivers were found automatically and ready to use. It uses a 8812AU chipset. A basic online speed test at Speedtest.net maxed out the internet connection at 73 Mbps Down, and 21 Mbps UP. 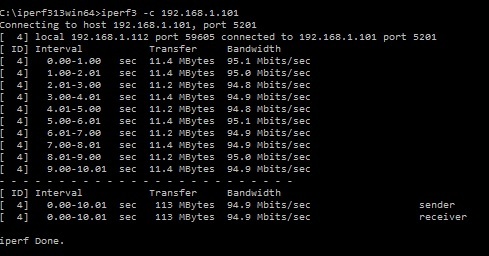 Running Iperf3 it gave an average score of 94.9 Mbits Per a Second. Iperf3 gave the 2.4Ghz Band an average score of 43.7 Mbits Per a Second. 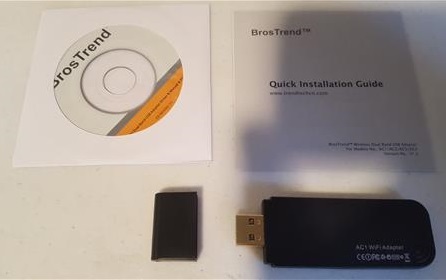 The BrosTrend AC1 is a good WiFi dongle that gave good results for portability, compatibility, and speed. 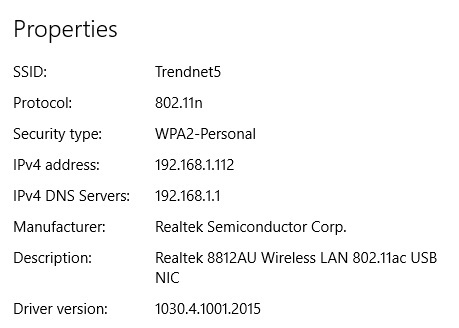 It is a 802.11ac dual band adapter so it will work in most any WiFi network new or old. Compatibility is also very good with it able to work with most any version of Windows. During testing Windows 10 found the drivers automatically by simply plugging it in. The speed results for the 5GHz band was very good. The speed results on the 2.4Ghz band was lacking a bit, but with most now using the new 5Ghz 802.11ac band this will likely not be a problem. I am still testing the adapter so far with god results and will update if anything changes. Do you know if Linux is supported?